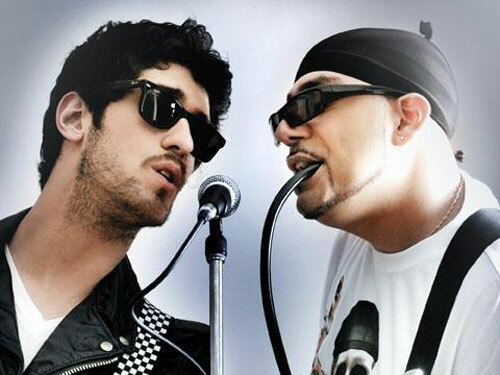 With appearances on Conan and the Juno Awards, playing Coachella, doing a headlining tour with Weezer, being featured on a Facebook commercial, having a song appear on the Drive soundtrack, and most recently appearing at Austin City Limits, it wouldn’t be a stretch to say that Chromeo is one busy duo. As the boys get ready to set off on their Night Falls tour, they’re reaching out to all fashion designers, graphic designers, and illustrators to help them design their limited edition tour t-shirt. This is an opportunity for your design to receive global recognition, be featured on Chromeo’s official website and also across all of their social media channels. In addition, these sweet guys will donate 50% of the net profits to a charity of the winner’s choice. So what happens to the other 50%? It goes straight to the winner. Don’t worry, runner’s up; Chromeo has some love for you too…in the form of signed Chromeo merchandise. Click here for more details and here for tour dates. The deadline is Tuesday, September 27, 2011, so beeline to your laptop and put that creative mind to work!